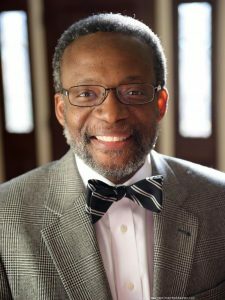 Head of School John C. Warren ’74 recently announced that fellow SM alumnus Dr. Walter K. Clair ’73 will deliver the keynote address at this year’s Prize Day ceremony on June 10. A skilled physician, medical researcher and innovator, Dr. Clair has been named among the leaders in his field by U.S. News & World Report. Currently serving as the Executive Medical Director and Chief Medical Officer of the Vanderbilt Heart and Vascular Institute and as an Associate Professor of Clinical Medicine at Vanderbilt University School of Medicine. he is nationally recognized as a specialist in Arrhythmias, Syncope, Palpitations, Sudden Cardiac Death, and Pacemakers & Defibrillators, making significant contributions with his innovative researches in these fields. Additionally, he is an Adjunct Associate Professor of Medicine at Meharry Medical College. His professional experience includes former positions such as Partner, Page-Campbell Cardiology Group, P.C. from 1993-2006, Medical Section Chief of Byrnes Medical Center, Clinical Assistant Professor of Medicine at the Medical University of South Carolina, Medical Director for Primary Care at the South Carolina Department of Health and Environmental Control, as well as several Teaching Fellow positions at Harvard College and Harvard Medical School. Dr. Clair has served as an investigator for numerous medical device/arrhythmia-related clinical trials and registries. He has also published in several medical journals and frequently presents on topics related to Syncope, Arrhythmia Management, and Sudden Cardiac Death. He was the Medical Director of the Cardiac Electrophysiology at Vanderbilt University Medical Center from 2007-2016. As evidence of his passion and talent for teaching, he received the Vanderbilt Cardiology Faculty Teaching Award 2 consecutive years (2007 and 2008). In 2011 Dr Clair was selected to be one the eight College Mentors for the Vanderbilt University School of Medicine Advisory Colleges. This involves student wellness and career counseling as well as teaching in “The Learning Community“ (a required series of seminars for medical students covering topics such as professionalism, meta-cognition, medical ethics, health care policy, narrative writing and clinical reasoning). In 2016, he was inducted into Alpha Omega Alpha (Honor Medical Society). Walter Clair’s interest in and commitment to public health began during his time at Harvard. He graduated from Harvard Medical School in 1981 and went on to earn his MPH at the Harvard School of Public Health. He has received a host of service awards and distinctions as a result of his work in the community over the years. He has chaired the Social Action Committee of Chi Boule. In 2012 he received the Levi Watkins Faculty Award for Commitment to Diversity at Vanderbilt School of Medicine. He was honored as a 2014 Father of the Year by the Nashville affiliate of the American Diabetes Association. He was a nationally elected Director of the Harvard Alumni Association (2002-2005) serving two years as the Chair of its Awards Committee (which nominates the Harvard Medal awardees). Dr. Clair was a member of the Board of Overseers of Harvard University from 2009-2016 serving as Vice Chair of its Executive Committee during his last year on the board. Additionally, he serves on the “Committees to Visit” Harvard Medical School and the Harvard T.H. Chan School of Public Health. Having joined the Education Committee of the Heart Rhythm Society in 2009, the next year he became co-chair of its Patient and Care-givers Sub-committee and served in that role until 2014. In 2013 he was a national medical spokesperson for the Heart Rhythm Society’s “Arrest the Risk” campaign to increase awareness of sudden death risk factors among minority patients. He currently serves on the boards of the Nashville chapter of the American Heart Association and the University School of Nashville Horizons Program. Additionally, he has served in several leadership roles with the 100 Black Men of Middle Tennessee. In the same spirit, he has been a volunteer with the A Better Chance program. In the fall of 1969, Walter K. Clair first came to St. Mark’s through ABC, and in 1991 he was profiled in Newsweek as an example of a successful ABC scholar, chronicling his impressive path to becoming a doctor. 44 years after his own graduation from St. Mark’s, Walter Clair will return as the 2017 Prize Day speaker, on Saturday, June 10, under the tent on Belmont Field.